The MX-5 RF brings new appeal to Mazda's evergreen sports car. A hardtop roof on a Mazda MX-5 is nothing new; the previous generation offered a retractable hardtop version called the Roadster Coupe, which, towards the end of its model cycle, outsold the soft-top MX-5. For the RF, which stands for Retractable Fastback, Mazda has created a new interpretation of its hardtop. Similar in many ways to how the roof of the Porsche 911 Targa works, the rear section of the MX-5 RF with its buttresses lift and moves rearwards as the front and centre sections of the roof fold back and into a small area beneath the rear deck, which is then covered by the returning fastback. This takes just 13 seconds either way and can be done at speeds of up to 10km/h. The operation is slick, going so far as locking and unlocking automatically. It also makes for pleasing viewing for those who appreciate good engineering. Despite the complex mechanisms the boot space is just three litres small than the roadster's at 127 litres, and this remains unchanged regardless of roof position. Whether you leave the roof open or closed, the MX-5 RF makes for an appealing sight. Its best angle is from the rear three quarters, where you can see the depth of those buttresses. The overall silhouette isn't all that different to the regular MX-5's, though. In fact, only the roof section, boot lid and rear wings differ from the roadster. From inside there is nothing new or different with regard to the overall layout. The button for operating the roof is in the lower section of the centre console and the instrument cluster now gets a 4.6-inch full colour TFT display neatly integrated into the left dial. This shows vehicle information like temperature and fuel levels, as well as an animation of the roof progress as it is opening or closing. The single overriding advantage that the Mazda MX-5 has over its rivals is how involving it is to drive. Mazda has thankfully retained this in the MX-5 RF. With the whole roof mechanism adding just 45kg to the overall weight, the MX-5 RF isn't very different to drive. The time taken to complete the 0-100km/h sprint falls by just 0.3 seconds and should go largely unnoticed. The centre of gravity has shifted due to the roof, but only slightly, and Mazda has worked on the car's setup to negate any ill-effects as much as possible. The car's suspension has been retuned to compensate for the increase in weight. Revised settings for the front anti-roll bar, rear springs, links and bump stops seem to give the MX-5 RF a slightly softer feel on the road. Don't think it's gone all soft and floaty, but on some sections of very undulating tarmac on our test route, it felt that bit more compliant and better damped than before. Mazda's engineers also tweaked the electrically assisted steering a tad to reflect the suspension changes. It still handles incredibly well and gives you a very accurate idea of what the front tyres is doing. If you need to adjust the line mid-corner, it reacts instantly. It's a peach to thread along a fast winding road. Adding more to the experience is the driving position, which Mazda has nailed. You sit low with the base of the seat not far above feet level. The steering wheel and positioning of the gear lever feels close to perfect, even though the wheel only adjusts up and down - that may leave some in a less than ideal seating position. The gear selector is wonderful to use, and the stubby lever requires only a short throw across the gate. The 1.5-litre petrol engine does at times leave you wanting for more power, especially on steeper climbs where you will find yourself having to drop down a gear or two more frequently. For the day-to-day driving, it is fine, but should you prefer faster drives you may want to consider the 2.0-litre, which gains an extra 29hp. With the roof closed, the MX-5 RF feels much more refined than the roadster. The roof doesn't have any squeaks or rattles and overall does a good job of isolating traffic and road noise from the cabin. We did find that, at higher speeds, the wind noise from around the side section of the roof became more apparent, but that was with the Bose stereo turned off. Our only real bugbear was during prolonged driving with the roof open. Due to the shape and design of the flying buttresses, a lot of wind roar is generated inside the cabin just behind your head, which, over time becomes mildly annoying. The 1.5-litre MX-5 RF comes in both standard and GT specification with the third option of a tan leather interior. All models feature 16-inch alloy wheels, electric windows, heated door mirrors, a leather steering wheel and gear shifter, keyless entry, air conditioning, cruise control and Bluetooth. The entry-level price is €31,495. A premium of €2,200 upgrades to GT specification, which adds heated leather seats, Lane Departure Warning, Adaptive Front Lighting System, rear parking sensors and black door mirrors. To add the tan leather interior costs an additional €300 and, depending on your choice of exterior colour, could look very smart. With its sleek styling and trick roof setup, the Mazda MX-5 RF should appeal to much more than just already-interested MX-5 buyers. It offers an almost unrivalled driving experience while packing in even more everyday practicality thanks to its hardtop roof. Above all, Mazda has retained the sublime setup that means it remains one of the best driver's cars on sale today. 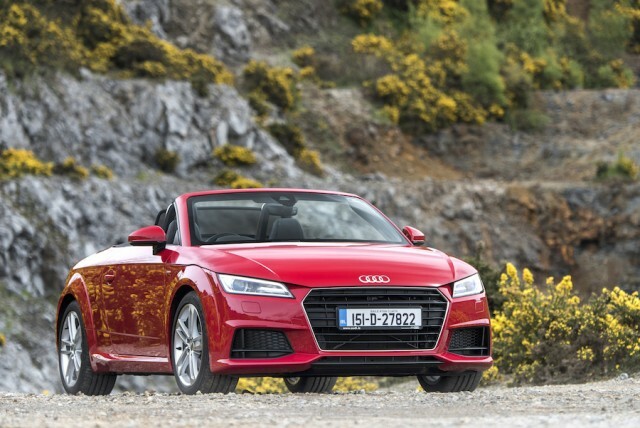 Audi TT Roadster vs. Mazda MX-5 RF: more expensive and not as involving to drive; well finished though. 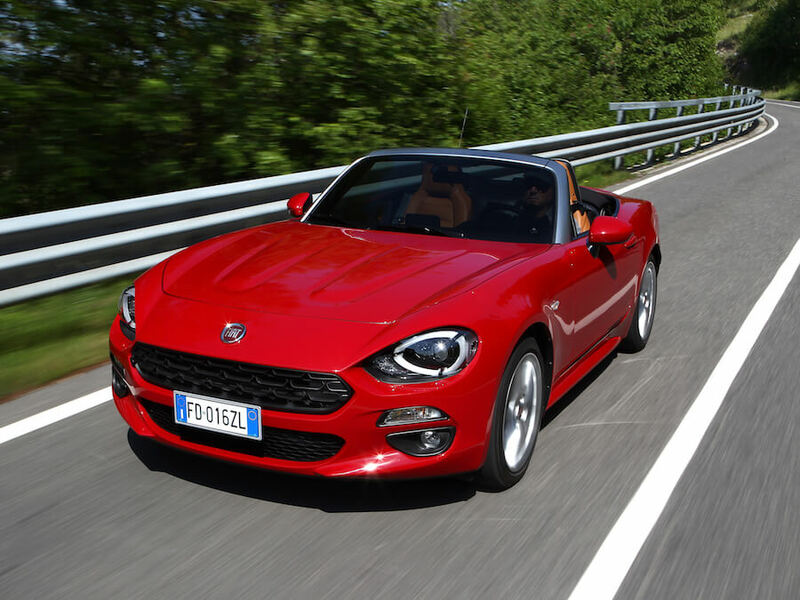 Fiat 124 Spider vs. Mazda MX-5 RF: shares its chassis with the MX-5 roadster, but only available as a soft top. 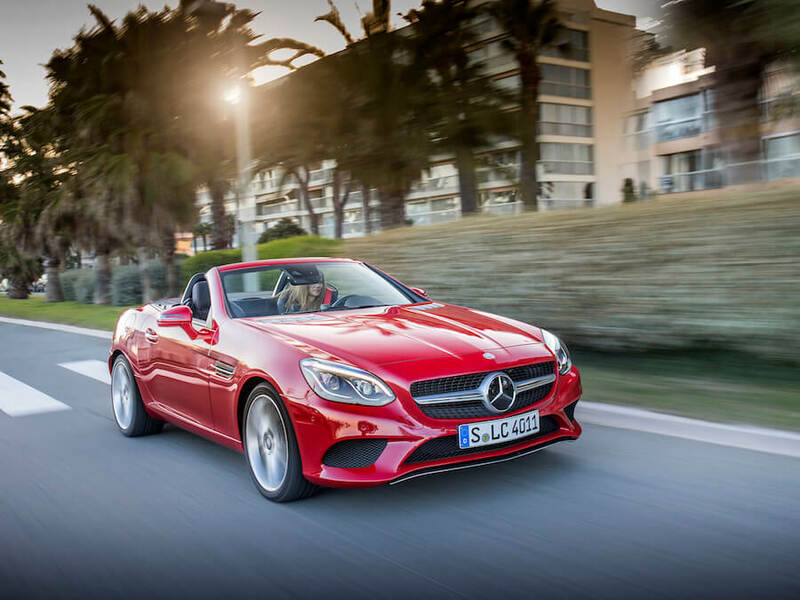 Mercedes-Benz SLC vs. Mazda MX-5 RF: a more expensive alternative to two-seat folding hardtop motoring.